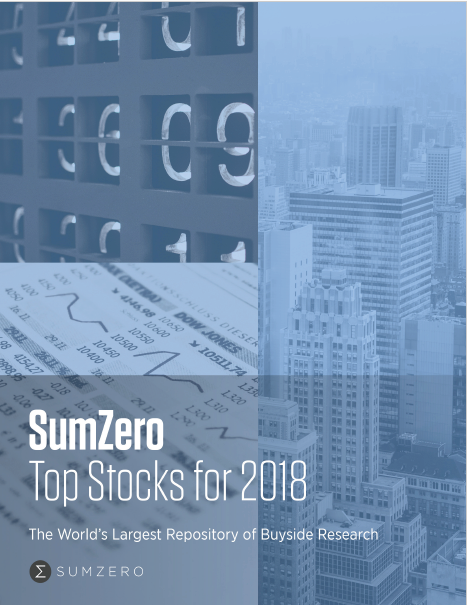 For the third year, prime real estate in the Top Stocks PDF report, SumZero's most widely distributed research publication, is opened up to the most deserving ideas/analysts (view the 2018 PDF here). Winners/Runners-Up will be determined by an independent panel of senior fund managers and asset allocators, and underlying ideas positioned as SumZero's top recommendations for the upcoming year. Featured entries will cover five distinct themes and will include the research, analyst bios, and fund descriptions. Top Mid/Large Caps: Idea must be more than US$2B at submission. Stay tuned for more details about the 2019 Top Stocks Challenge coming soon, including Judges and more.